Daniel Herscovitch studied with Alexander Sverjensky at the Sydney Conservatorium of Music then with Rosl Schmid in Munich. While based in Germany he performed extensively on the continent and in England and toured Australia three times. He also appeared at several international festivals including the Berlin Festival, the Zagreb Biennale and the Saarbrücken Tage der Neuen Musik. Since moving to Australia, he has frequently performed in Europe, North America and Asia. He has recently returned from his fourth visit to the US, where he gave several performances of The Art of Fugue by J S Bach. His CDs feature music from the 17th to the 21st centuries, and are available on ABC Classics, Wirripang, CSM, Tall Poppies, Continuum, Biodiversity and Toccata Classics labels. 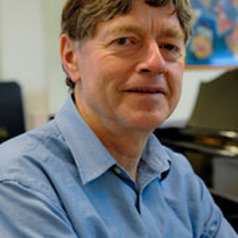 He is now Associate Professor in the Piano Division of The University of Sydney Conservatorium of Music.